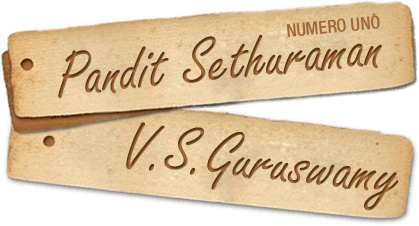 Sri.V.S.Guruswami, the son and disciple of Pandit Sethuraman is practising the profession of Numerology for more than a decade. True to his father’s tradition, his professional services as a Numerologist has won worldwide acclaim. He has brought out the English version of Adhista Vingyanam, entitled “SCIENCE OF FORTUNE” which not only fulfils his father’s desire, but also makes the global readers happy.